10 May 2012 — A surprising phone call a few days ago shook us temporarily out of a state of near panic, and prompted this dispatch from the front. 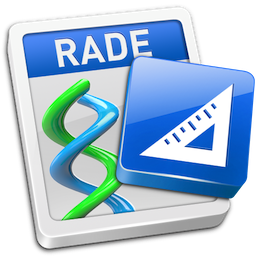 The call was from a customer complaining that her copy of RADE was going to expire on May 8th. A look in the database determined that she was indeed a Europa Pioneer and thus, was looking at the March Preliminary Release of	RADE for macOS that would expire on that date. We understand that not everyone has the time to download and play around with the interim builds when there are businesses to be run. On top of that, we all know that interim builds may also introduce new bugs from time to time. Our position has been and continues to be that if a new release gives you problems, either go back to the last release that doesn’t or wait until we can fix it. But what made her cry for help hit home the hardest is when we realized that when this user went back to what she was using before, it was also Helix RADE 6.2, just a slightly earlier release. We knew she was in the Europa Pioneer Program, but being in the program does not necessarily mean it is used in production every day. We had assumed she had Helix 6.1 as a fallback position. But as always happens, because time proceeds only in one direction, there are already Helix RADE users working in macOS because they have no fallback position. Their machines only run Lion. Which brings us back to high noon at the oasis. In the previous eleven months of the Europa Pioneer Program, our oasis has been the tenth of each month. The terrain between these oases always started out barely navigable, but we knew where they were and each month we consciously planned and carefully executed those plans to get there. With just one exception, we have made it on schedule every month. This month, we had planned to incorporate three new pieces of the graphical user interface, and to put the first Engine, Server and Client based on this code into the test cycle, but we uncovered another major infrastructure project that had to be done before anything else, so we bit the bullet and put two of those three features off another month. That infrastructure work was completed about a week ago. Our plan was to test for a week and release. Good plan, usually works. We had arrived at the next scheduled oasis, to return gingerly (and somewhat tongue-in-cheekily) to our metaphor. When we arrived, there appeared to be ample shade and plenty to drink, but the first couple of sippers quickly caught dysentery and it’s taken several days just to get that under control. However, now that we’re able to work again without spending so much time in the bathroom, we’ve decided that it’s in everyone’s best interest for us to do a little more testing before unleashing Preliminary Release 12 on the Helix community at large. So as much as we would love you to be able to see all the really wonderful new things that Helix does that were created since April 10th, we’re going to ask you to wait just a little while longer and thank you in advance for your patience. The minute we feel confident that we have dealt with the current set of obstacles to our progress most effectively, we will put Preliminary Release 12 in your hands.